Welcome back we hope you had a lovely half term. The children have been very excited about our 'Sparkle and Spells' theme and have enjoyed sharing different spooky or Bonfire themed poems. They have been talking about rhyme and making up their own as well as enjoying Funny Bones, Winnie the Witch and Meg and Mog stories. Can they tell you any about any of the poems or stories they have been sharing? What was their favourite and why? 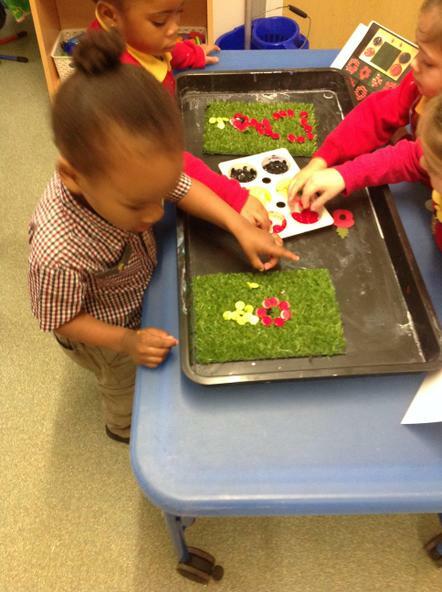 The children will continue to look at seasonal changes this half term and talk about the observations they have made. They will talk about hibernation and begin to think about preparation for winter. The children will develop their knowledge of light and dark, looking at different sources of light and how light is important. 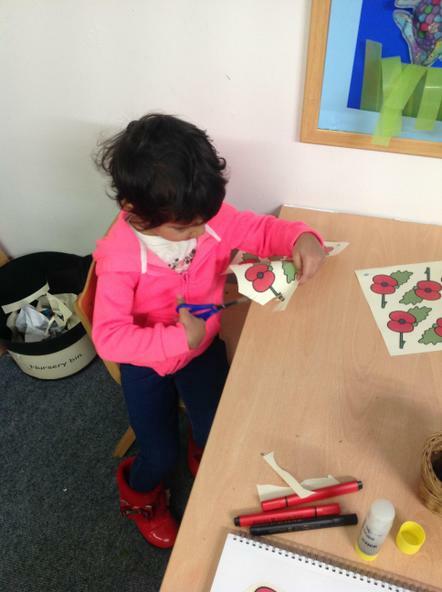 This links to our discussions about festivals of light and the children will learn about special celebrations including Diwali, Hanukkah and Christmas and have visitors to FS who will share their experiences of how they celebrate. 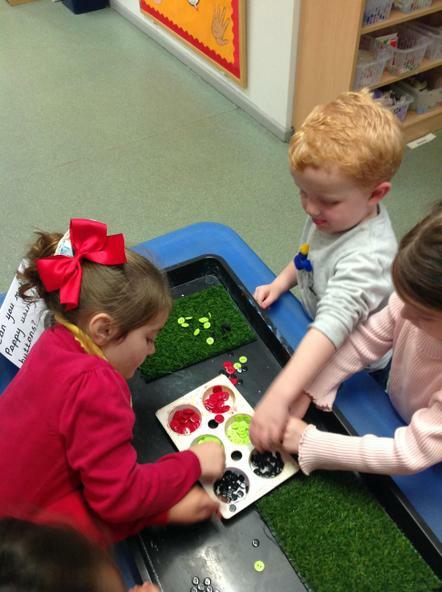 In maths the reception children will be developing their number knowledge and problem solving skills through daily activities in small groups. 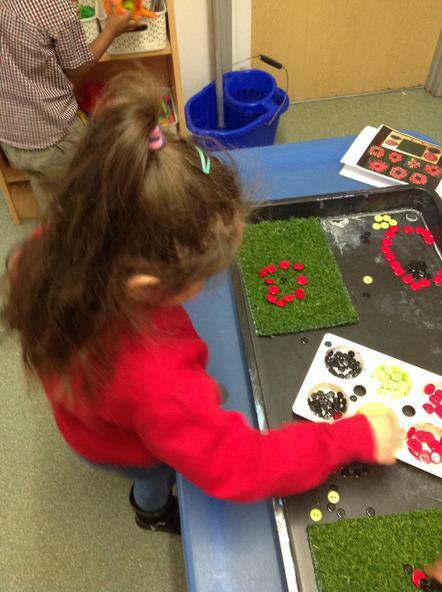 Please encourage children to count objects in and around the house, combine amounts, and talk about ways of grouping objects and finding ways to make amounts to 10. 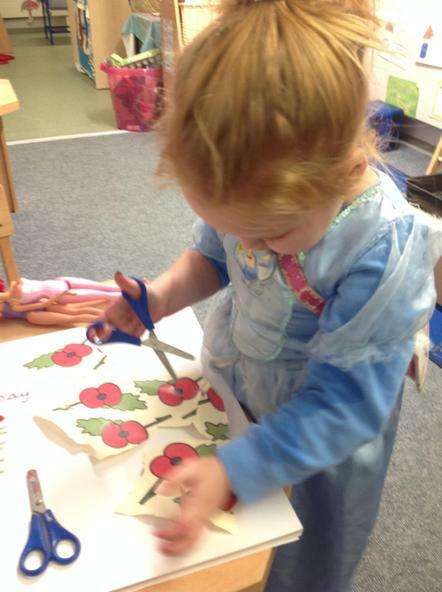 The children will also be looking at shapes, patterns and textures. They will use fabric, paper, collage material and natural resources to make patterns and will be looking at, naming and identifying 2D shapes. 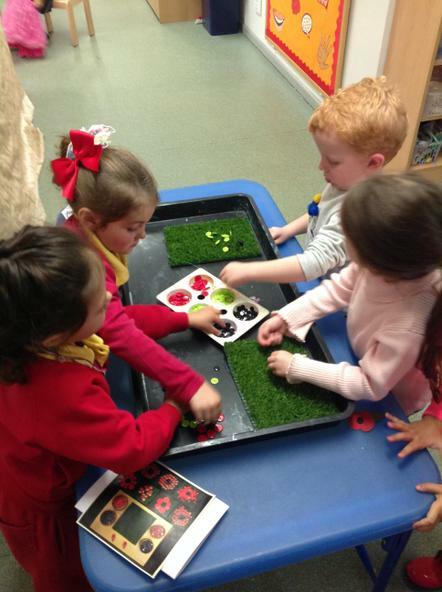 The children will be able to identify their properties and talk about how they differ. 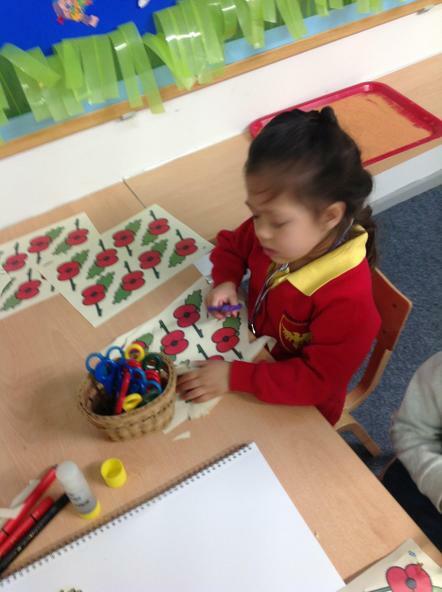 Ask them can they find any in Foundation Stage or at home? 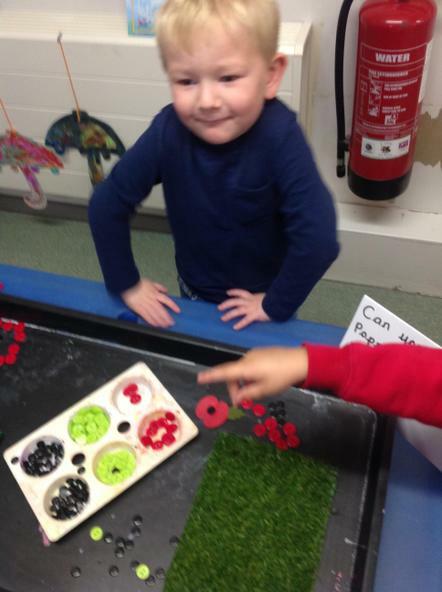 There will be a continued focus on developing communication and language skills and the children have opportunities to talk to each other and staff in large groups, key worker groups, small groups and 1:1 every day. Developing these conversational skills and the ability to listen a group or 1:1 situation is important and will support learning in all areas. School is involved in the 'Mouse Club' project and all of the children have now brought home their own mouse, something they have all been very enthusiastic about. Mouse will be used for a range of activities and to support learning at home, please look out for further 'Mouse club' activities throughout the term. 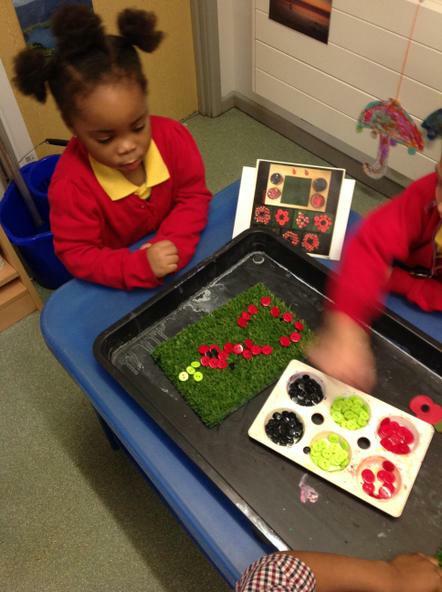 The children in Nursery will continue a range of phase 1 phonic activities linked to listening skills, sounds and rhyme and joining in activities that encourage them to talk about sounds they can hear and identifying rhymes and pattern. 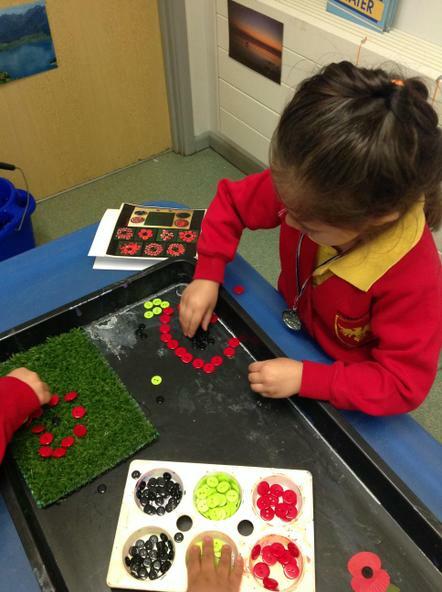 The Reception children will continue with their daily phonic sessions and will be learning new sounds each week. They will be bringing reading books home this half term along with a reading record. Please read with your child for a few minutes every night. Encourage them to talk about their book, the pictures and comment on what they can see as well as reading the words. Please sign your child's record when they read and feel free to write a comment. Staff will be reading with the children regularly in school so please ensure bags, books and records are in school every day. Any questions please speak to a member of the FS Team. Thank you. Funny Bones. Can you make a skeleton? We are in The Mouse Club. Mouse helps us make things, like playdough and snack. He helps us share with our friends and even has a passport.